Description: Jagtap alias Jaggu has taken to crime as a career and has the police on the lookout for him. The police manage to apprehend Jaggu's associate, Kaalia, who decides to act as an informant for the police and as a result Jaggu is arrested, tried in court, and sentenced to two years in prison. After his discharge an enraged Jaggu confronts Kaalia, who apologizes profusely to Jaggu and both patch up. One day a widow approaches Jaggu and asks him to rescue her daughter, Geeta, who has been abducted by Desai. Although Jaggu is a hired hand of Desai, Jaggu does rescue Geeta, both fall in love with each other and get married. A vengeful Desai wants Jaggu dead at all costs and for this purpose is willing to pay any price to get him killed. And the person he intends to hire is none other than Jaggu's friend, Kaalia - a man who has betrayed Jaggu once, but may now end up killing him.Jagtap alias Jaggu has taken to crime as a career and has the police on the lookout for him. The police manage to apprehend Jaggu's associate, Kaalia, who decides to act as an informant for the police and as a result Jaggu is arrested, tried in court, and sentenced to two years in prison. After his discharge an enraged Jaggu confronts Kaalia, who apologizes profusely to Jaggu and both patch up. One day a widow approaches Jaggu and asks him to rescue her daughter, Geeta, who has been abducted by Desai. 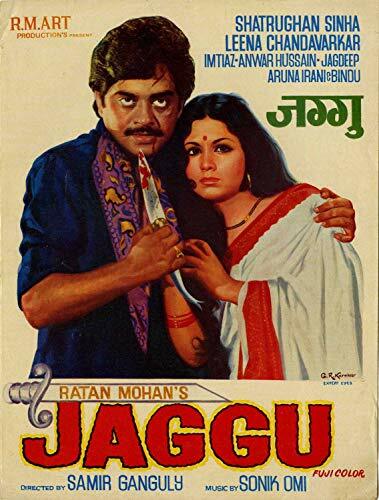 Although Jaggu is a hired hand of Desai, Jaggu does rescue Geeta, both fall in love with each other and get married. A vengeful Desai wants Jaggu dead at all costs and for this purpose is willing to pay any price to get him killed. And the person he intends to hire is none other than Jaggu's friend, Kaalia - a man who has betrayed Jaggu once, but may now end up killing him.